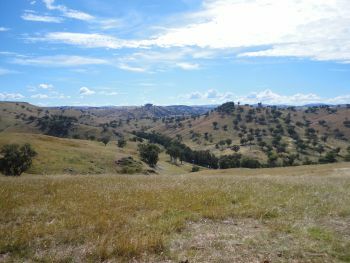 Water security has historically been a challenge in the Lachlan Valley and is limiting economic growth for the region. The valley has been subject to severe town water restrictions with long periods of little or no general security, agricultural water availability and restricted high security water. WaterNSW is responsible for delivering and operating infrastructure to provide for the State’s bulk water supply needs. As part of the State Infrastructure Strategy the NSW Government has committed to investing in the water supply for the Lachlan region. Phase 1 of the Lachlan Valley Water Security project was undertaken by WaterNSW in 2014. This first phase identified a range of different options for improving regional water security including the construction of a new dam at various sites and the upgrade of existing dams. progress with field investigations for a new dam in the area near Cranky Rock. Investigations should focus on potential foundation and storage integrity risks. undertake a cost-benefit analysis to determine the economic value of the investments in water security improvement in the region. In late 2016, WaterNSW engaged GHD as its strategic partner to assist in delivering Phase 2 of the Lachlan Valley Water Security Project. Consulting with stakeholders and the community. Establishing the need, service levels, and reviewing various build and non-build options including those from Phase 1, to develop a shortlist of options for further assessment. Carrying out field investigations at sites near Cranky Rock to assess major risks. Preparing a preliminary business case including a detailed cost-benefit analysis. A report from the investigations was prepared for the NSW Government. The investigation found raising Wyangala Dam wall and construction of a pipeline between Lake Rowlands and Carcoar Dam could provide improved water security for the region. Raising the wall at Wyangala was shown to be superior to construction of a new dam near Cranky Rock on the Belubula River in terms of cost, hydrological modelling, construction risk and environmental sustainability. Initial investigations have shown a pipeline between Lake Rowlands and Carcoar Dam could allow the capture of surplus flows to improve urban water supplies. The pipeline would allow transfer of surplus water from Lake Rowlands Dam to Carcoar Dam to allow more efficient storage of available water and improve operational flexibility.